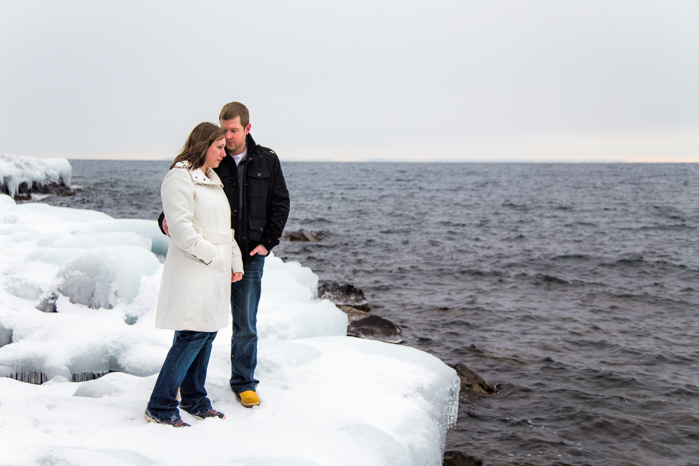 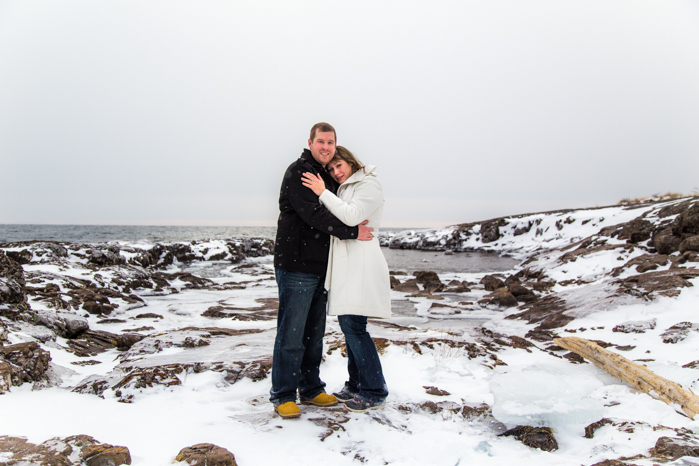 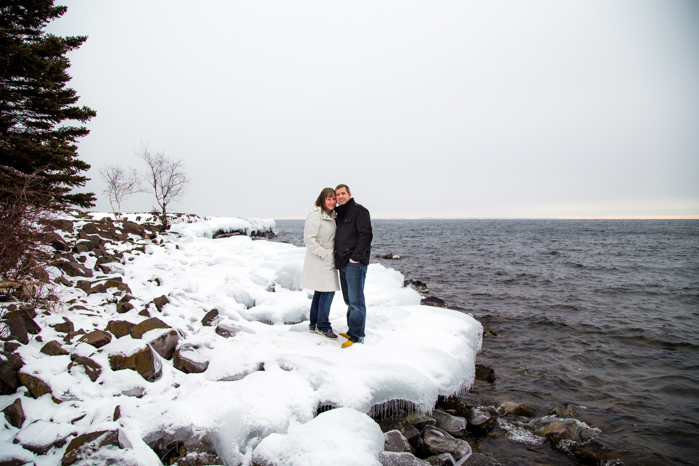 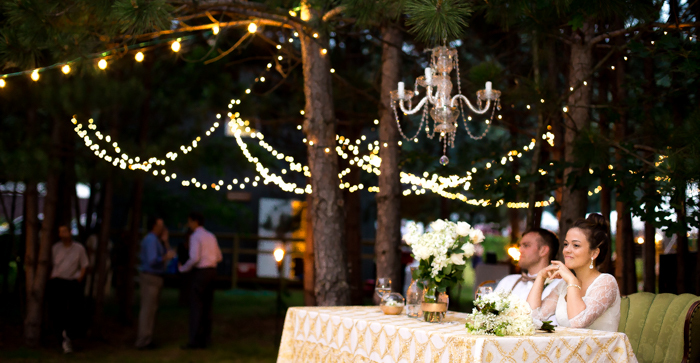 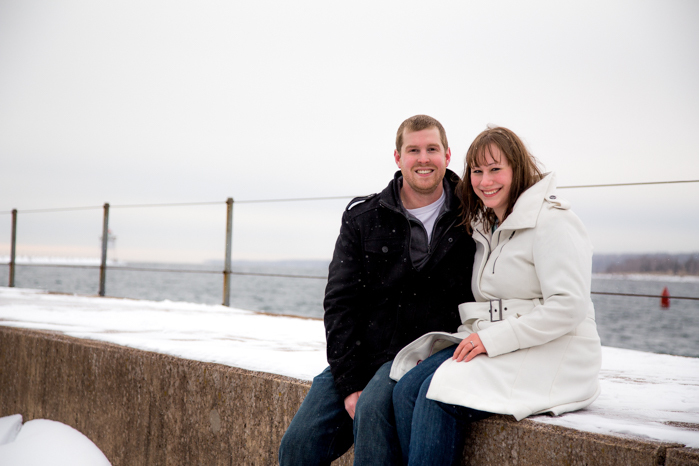 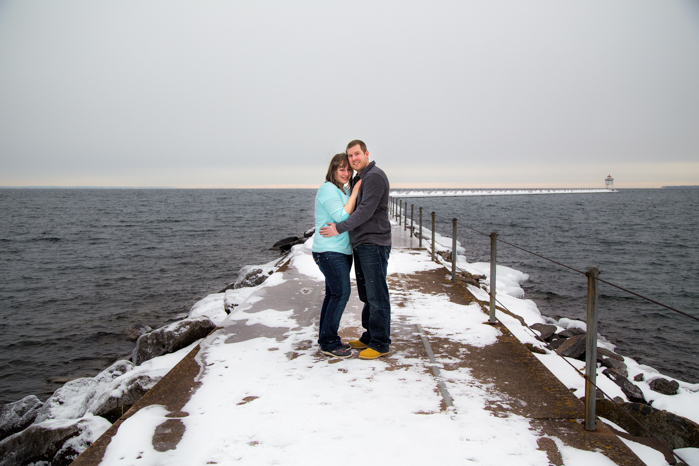 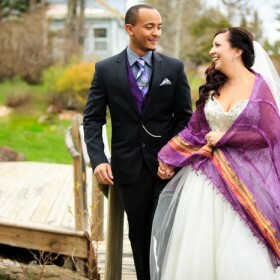 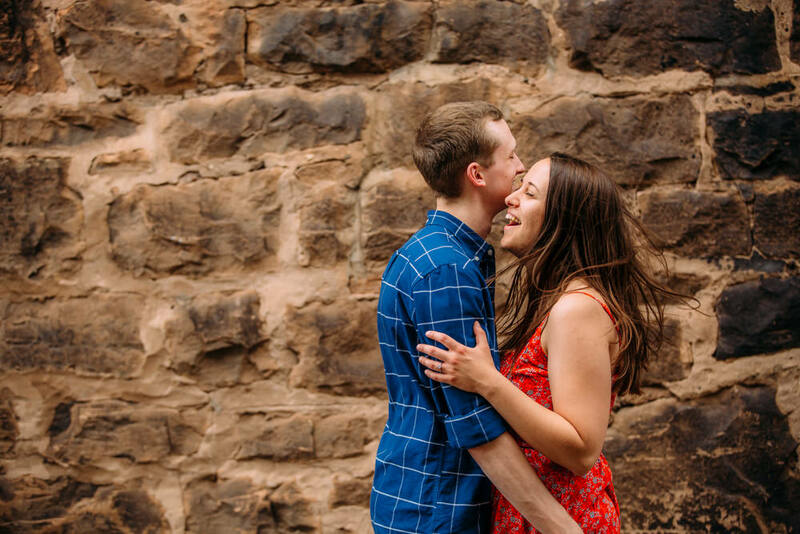 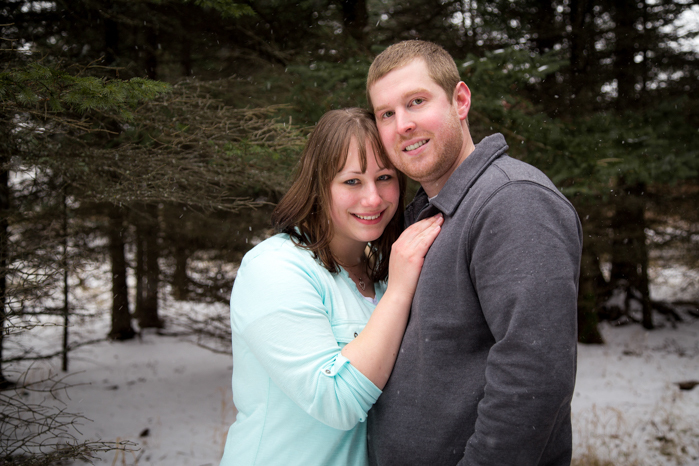 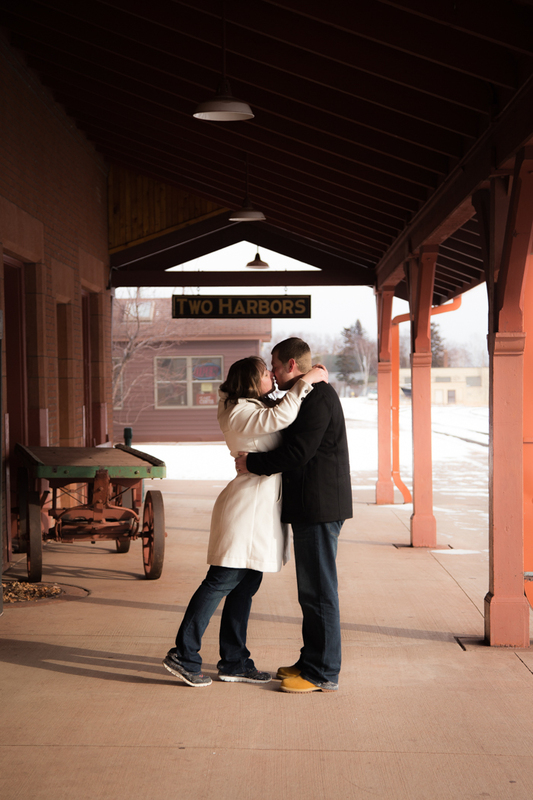 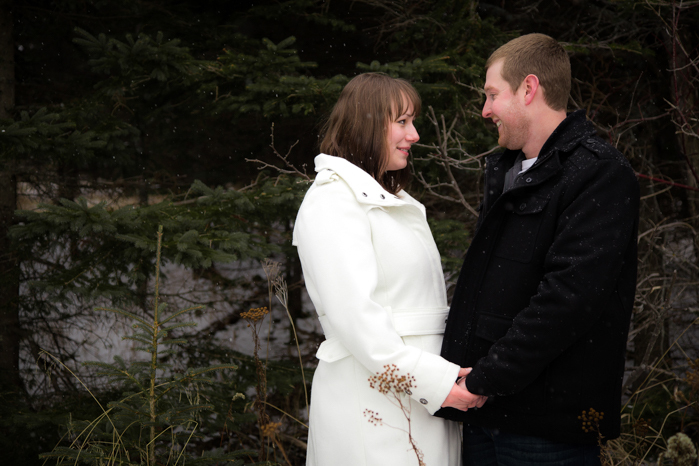 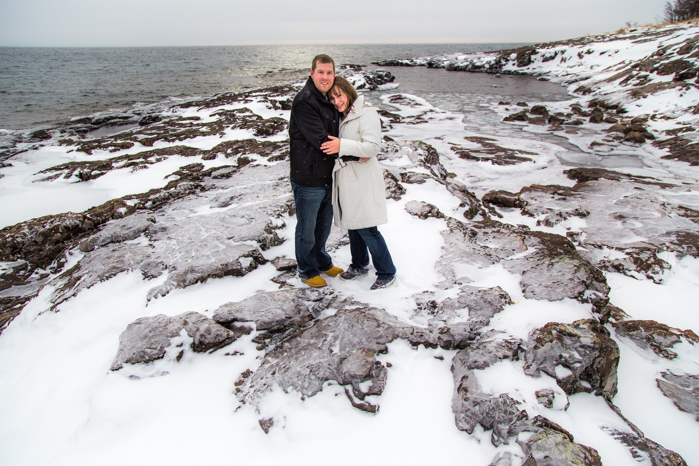 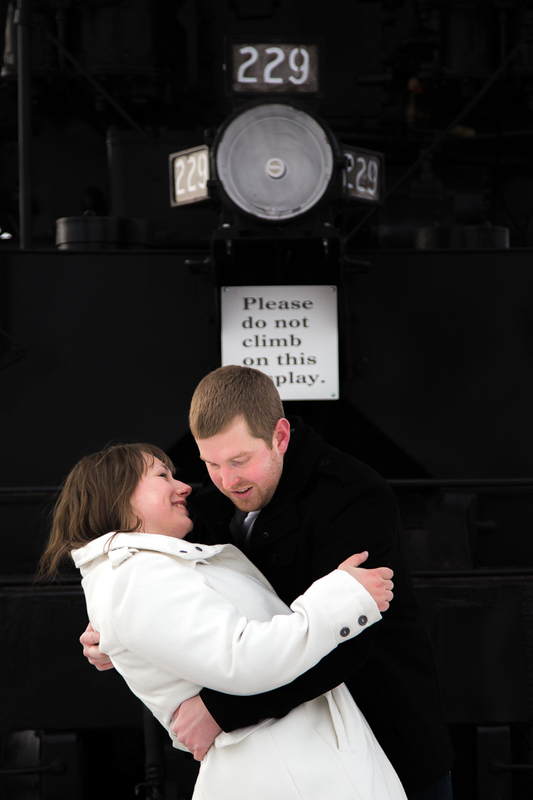 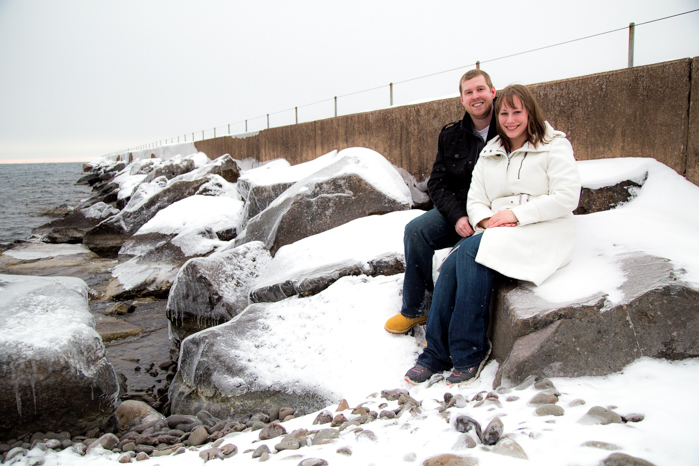 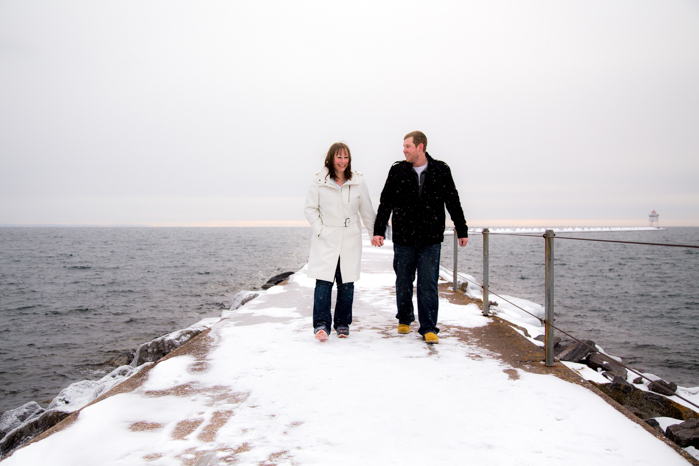 I loved making a trip North for this Two Harbors engagement! 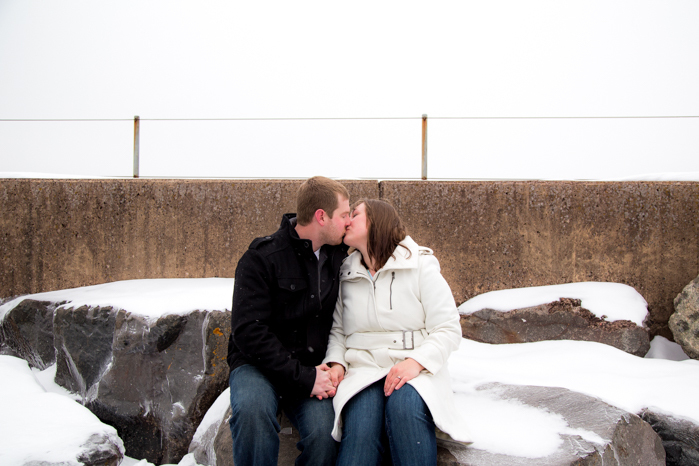 Josh and Ashley braved the cold and the snow for these shots. 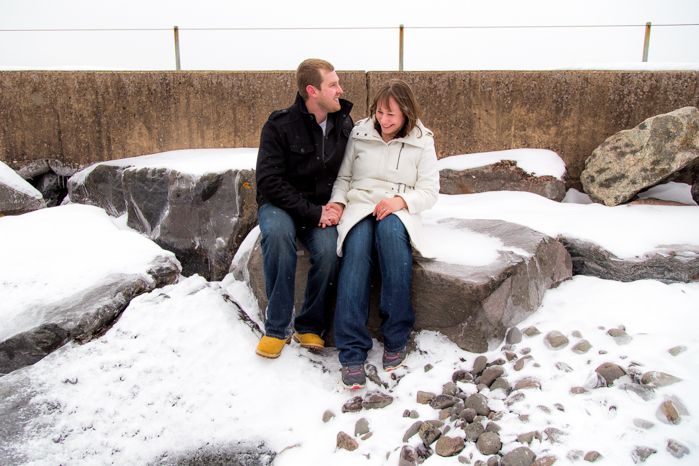 With the snow falling, the blue lake, and sheets of ice on the rocks, it was an ideal winter day for engagement pictures. 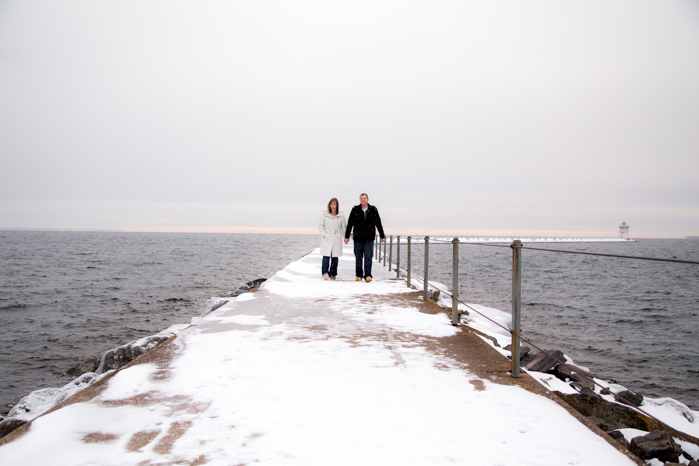 We spent the afternoon walking on the dock near the Two Harbors lighthouse, finding beautiful trails among the pine trees, and venturing on the ice that covers the Shore of Lake Superior. 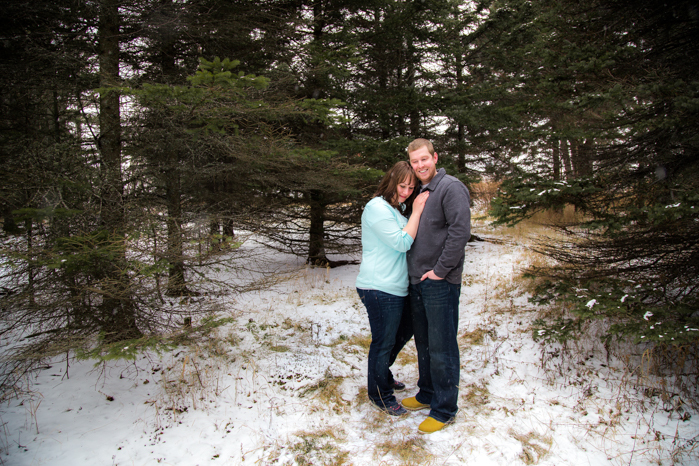 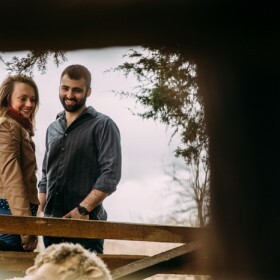 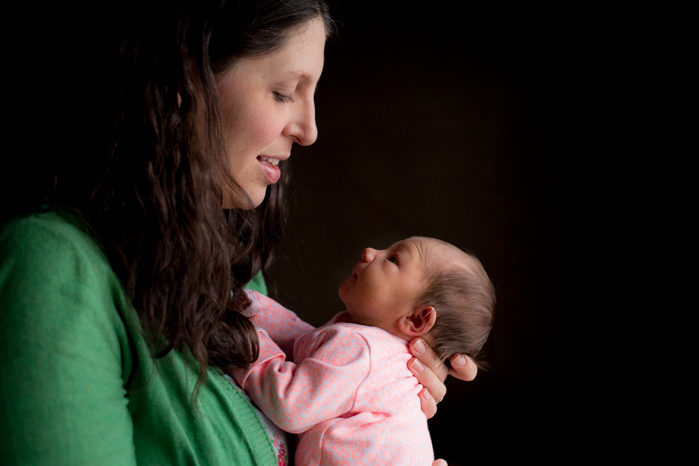 It was such a joy to work with Josh and Ashley! 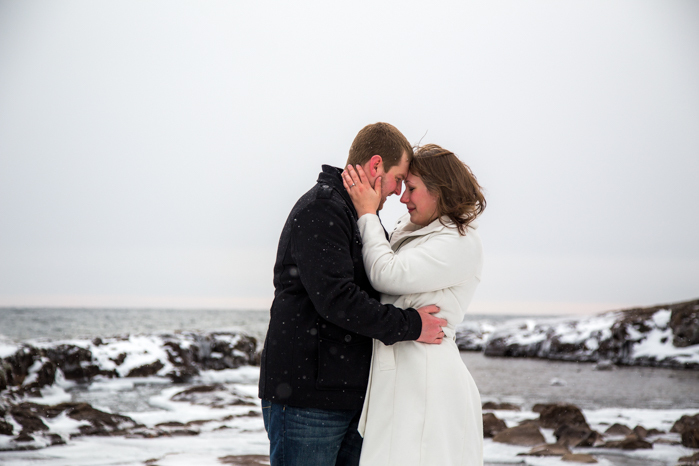 With such beautiful smiles, it really made a perfect, fun morning- a little ways north of Duluth.